Steph Bowe: May Gibbs Fellowship! I'm thrilled to have been awarded a May Gibbs Creative Time Fellowship for 2016! I'll be spending a month in Adelaide later in the year developing a new novel. I'll also spend a week while I'm there speaking at Seymour College. I have never been to Adelaide, so that's very exciting for me, and a month of concentrated writing time will be brilliant. I'm very much looking forward to it. Here's the list of this year's fellows and their projects. 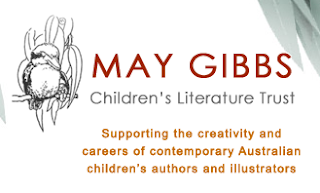 Huge thanks are due to the May Gibbs Children's Literature Trust, who are amazing in their support of Australian children's authors.